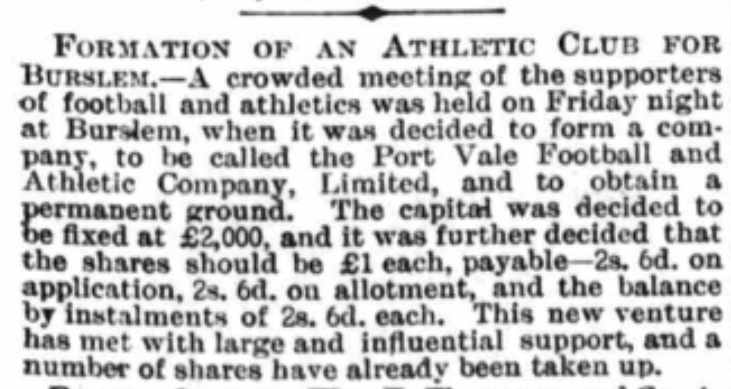 In this clipping from 1885, Port Vale announce the formation of an athletic club and decide to seek a permanent ground. Although the official formation date is 1876, historian Jeff Kent’s research suggests the actual foundation date was 1879. The club’s first years were spent in Longport and Westport. 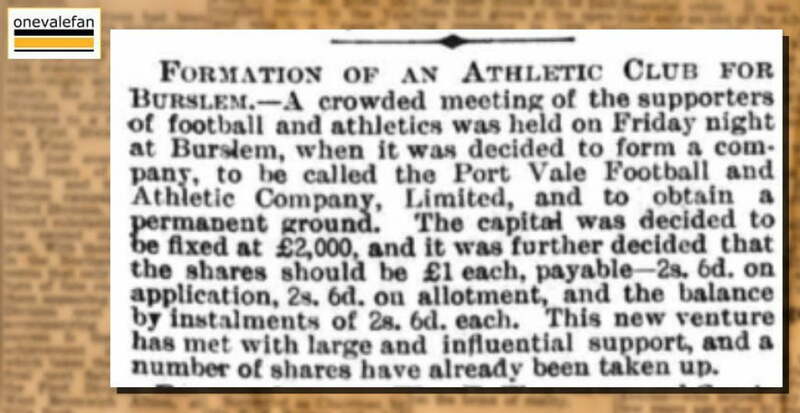 However, as the clipping indicates, by 1884 the club had moved to Burslem and would soon change its name to “Burslem Port Vale” after the move.